The members of Karnataka Chamber Of Commerce and Presidents Council have asked the passport authorities to hold a 7 days jumbo passport mela in Belagavi. Citizens have to travel to Hubballi to get the passport done and it involves spending a whole day. In September 2014 and November 2015 the Past Presidents council had communicated the Ministry Of External Affairs, DC and the District Incharge Minister and a two days Pass Port Mela at Belagavi was held. External Affairs Ministry, has approved a countrywide Passport Seva Kendras. The program is aimed at providing passport services to the people and is yet another citizen-centric measure taken by the Ministry in extending public services closer home. 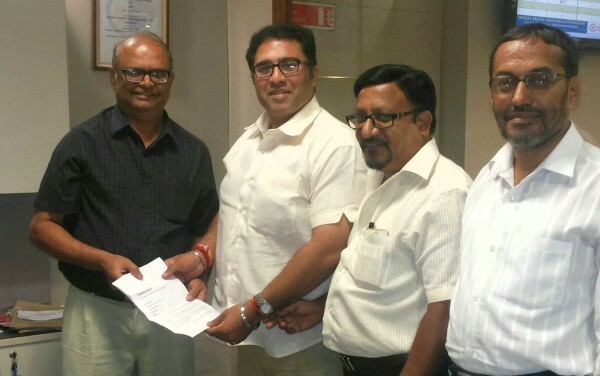 City Corporation Belagavi has also passed a resolution to the effect and given a positive nod. Presently the Police Commissionerate has commenced operations which will ratify the demand of a Pass Port Seva Kendra at Belagavi. A request was made for the time being and for the convenience of the citizens of Belagavi District to hold a Jumbo Passport Mela of 7 days in the coming month of Feb and March 2016. Satish Tendulkar, Basavraj Javali, Shevantibhai Shaha and Vikas Kalghatgi were present. Thank U Sir Satish Tendulkar, Sir Basavraj Javali, Sir Shevantibhai Shaha and Sir Vikas Kalghatgi, My ARN 15-1008269923 is waiting for PSK in Belagavi.